The Huntley Quarry Geology Reserve is intended for use by people of all ages and abilities. We have prepared a basic teachers pack aimed at Key Stage 3 which con be downloaded as pdf files, using the links below. If you have any suggestions as to how this can be improved or extended for different levels of education, please do let us know. The world looked very different when the rocks seen at Huntley Quarry were formed. 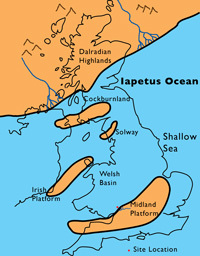 The rocks in the main quarry, and at Brights Hill Quarry were formed during the early part of the Silurian period. 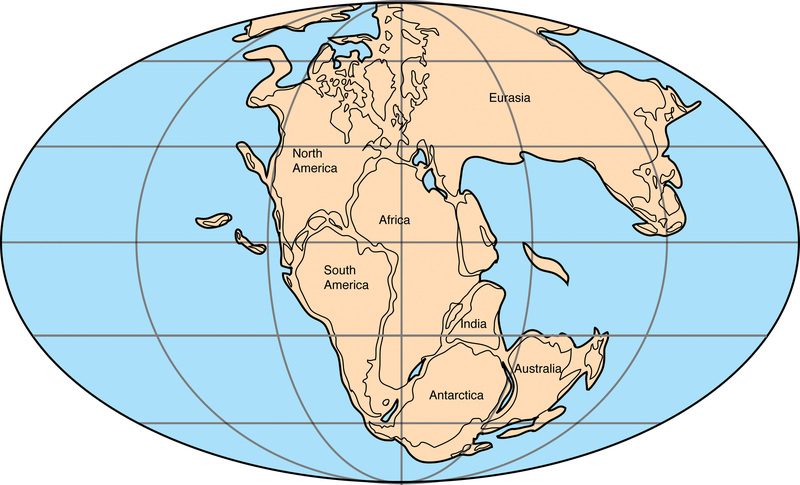 At this time the continents were a very different shape, and gathered around the south pole. 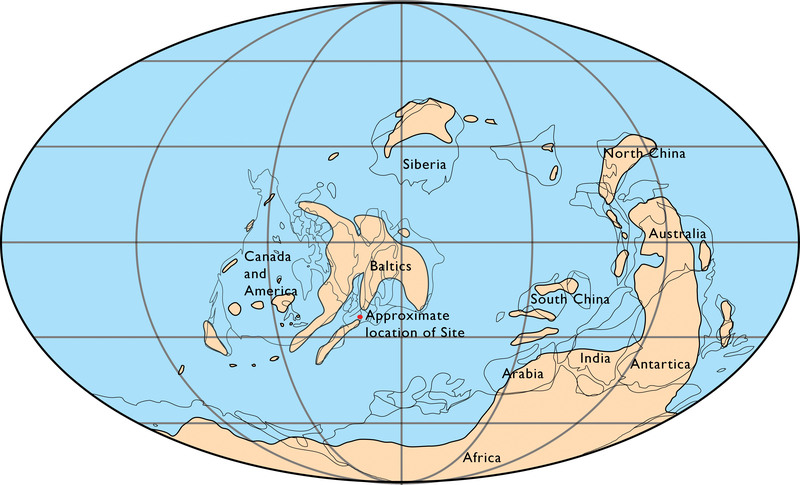 Click on the image below to download a map of the continents as they were during the early Silurian. 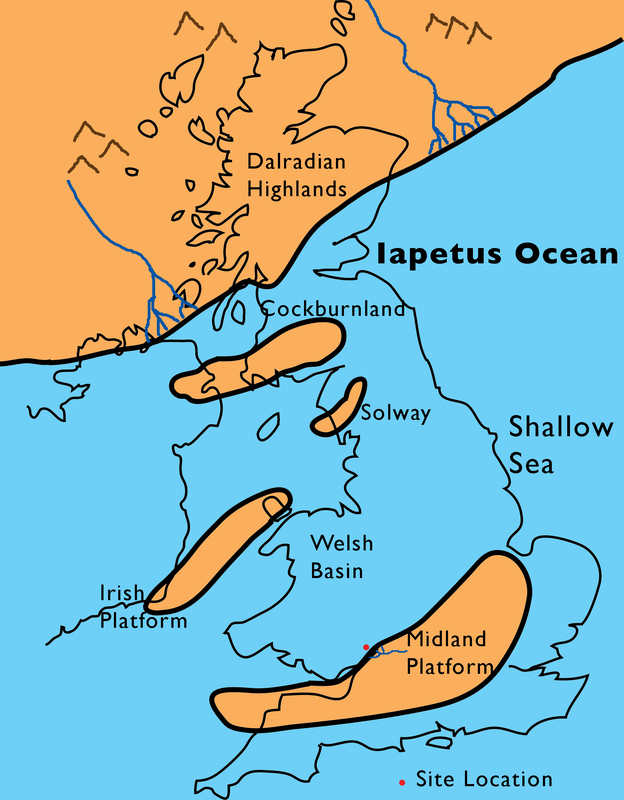 The softer mudstones on the eastern side of the Blaisdon Fault, and the sandstones in Acker's Quarry, were formed over 200 million years later during the Triassic period, by which time the continents had amalgamated into the Supercontinent of Pangaea and spread out from north to south poles (See image below). For more information on the Huntley Quarry Geology Reserve, contact us directly, or order a Reserve Guide from our Guides and Publications page. Ibstock Cory Environmental Trust funded the purchase and initial conservation of the reserve. Gloucestershire Environmental Trust (GETCO) and Cory Environmental Trust in Great Britain have funded further work to consolidate and improve the reserve for visitors. This includes steps on the steepest parts of the paths, re-exposing Acker’s Quarry, improving wildlife habitat, and stabilisation of the Blaisdon Fault. There will also be three new interpretation panels and signage around the reserve, and a new geology and landscape guide to May Hill.